Appearances can be deceptive, and with his second A1-rated passive house in County Wexford, architect Zeno Winkens has designed a fairly traditional Irish home that also manages to include some unique design touches. The German-born architect Zeno Winkens brings an exotic range of influences to his designs of houses in rural Ireland. 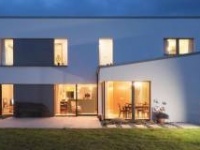 Winkens built the first A1-rated certified passive house in Ireland a few years ago, and has now designed another one, in Drumderry, near Bunclody, County Wexford. Both bungalows blend in with the new builds in their local areas, but also show the influence of California’s modernist architects. It’s necessary to go beyond a superficial glance to appreciate the impact of his travels on Winkens’s architecture. Born in Bonn, in Germany, he was brought to live in Los Angeles in 1959 at the age of nine months by his architect father, Egon Winkens. Egon was passionate about the work of the great Austrian-born architect Richard Neutra, whose modernist ‘Neutra houses’ have become iconic in California. Egon Winkens landed a job with Neutra, and worked his way up to become a partner in his firm during the 1960s. “There are pictures of me as a boy in Neutra houses with Richard Neutra and my dad,” says Zeno now. Egon moved back to Germany in 1968, when Zeno was 10. Then, at the age of 21, in 1979, Zeno was on the move again, this time because his father had decided he wanted to live in rural Ireland. He founded Winkens Architecture, in County Wexford, and Zeno became an apprentice, Sadly, he was forced to take the helm in 1982 after Egon died suddenly of a heart attack at the age of 53. Both Egon and his hero Richard Neutra are abiding influences on Zeno’s work, including this A1-rated passive house in Drumderry, Bunclody. “The main influences are openness and liveability, which were two key features for Neutra. In the Drumderry house the openness is in the open-plan design, and the brightness and airiness of the rooms, all of which have beautiful views through the big glass windows,” he said. We get lovely sun in the mornings and great light for most of the day. Neutra’s houses were striking glass-andsteel constructions with huge panes of glass. Because he was building in the Californian desert, there were big overhangs for shading. Zeno’s designs have large areas of glazing to let the light in, too, but in contrast to Neutra he prefers solid rather than glazed corners. Although the influences are exotic, the look of the bungalow fits rural Ireland. He wanted a standard bungalow; it had to achieve passive house status; and it had to have an open plan living area. Slevin is a local man who returned to Wexford with his partner Deirdre Dunne and their young baby in 2010. They rented three different properties initially but could not find the comfort they craved. The last rental property was so poorly insulated that they spent weeks in winter with cold hands and feet. In researching energy efficient housing, Slevin stumbled upon the passive house concept. 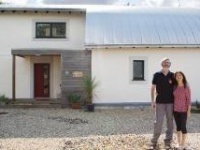 Google led him to Zeno Winkens, who had designed the first A1 passive house in Ireland just a few miles away, near Bunclody. 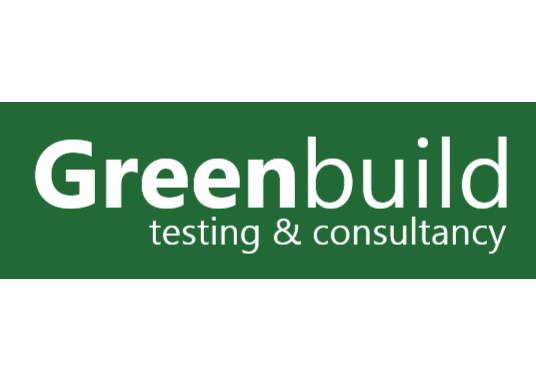 9 Gavin Ó Sé of Greenbuild carries out smoke testing during an airtightness test to check for air leakages in the building. Enda was more laid back. He had only three stipulations. He wanted a standard bungalow; it had to achieve passive house status; and it had to have an open plan living area. Other than that, he left it to Zeno to come up with a design. Although similar to the first house, there were important differences. Francis Clauson’s house was significantly larger and had three en suite bathrooms. Enda’s 227 sqm bungalow had just one en suite out of its four bedrooms. Slevin’s site was also on top of a hill, which allowed Zeno to add certain design features. “The slope allowed us to make the living room and the kitchen-diner three steps lower than the rest of the house. We could also lower the ceiling in the living room area,” he says. The design was straightforward, but Winkens had initial concerns about whether the builder could deliver a passive house. 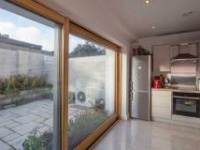 He used a local tradesman, Sean O’Brien, on Enda’s wishes, but O’Brien had never worked on a passive house before. He need not have worried. In the end, Zeno had nothing but praise for O’Brien’s work, which delivered a passive-standard airtightness rating of 0.57 ACH. A large rooftop solar PV array, meanwhile, provides electricity for hot water. A Brink heat recovery ventilation system supplies fresh air to the living rooms and extractions from all wet rooms, while the main source of heat is a Nibe air-to-water heat pump supplying underfloor heating. The construction of the house took a year during 2015 and Enda moved in with his partner, Deirdre and young child, in January 2016. Since then, the pair have had a second baby and are settled happily in the house, which is opposite the home of Enda’s parents. The costly struggles to heat their draughty old Irish rental houses have come to an end. The overall cost of the house was 10-20% more than a standard build, but we intend this to be our home for life and we’ll recoup the costs over several years in energy savings. Our electric bills are much lower than in the rental properties, even though we run everything off the electric heating. It’s a good long-term investment as the price of oil is only going to rise,” says Enda. Energy bills (estimated): Calculated pace heating demand for the whole house is 3632 kWh/yr in PHPP. Considering its seasonal efficiency of 410%, the Nibe F2040 heat pump consumes 886 kWh per year to generate this amount of heat. Dividing this evenly between typical day rate (18c) and night rate (9c) electricity yields an annual estimated bill for space heating, including Vat but not standing charges, of €119.60. Roof: Slated, timber roof trussed construction insulated with 420mm Isover Heatshield & Isover mineral wool insulation. Airtightness membrane fixed to underside of roof trusses below insulation layer, with suspended service cavity below. U-value: 0.084 W/m2K. Windows: Gutmann AG MIRA therm 08 timber windows with external aluminium shell. 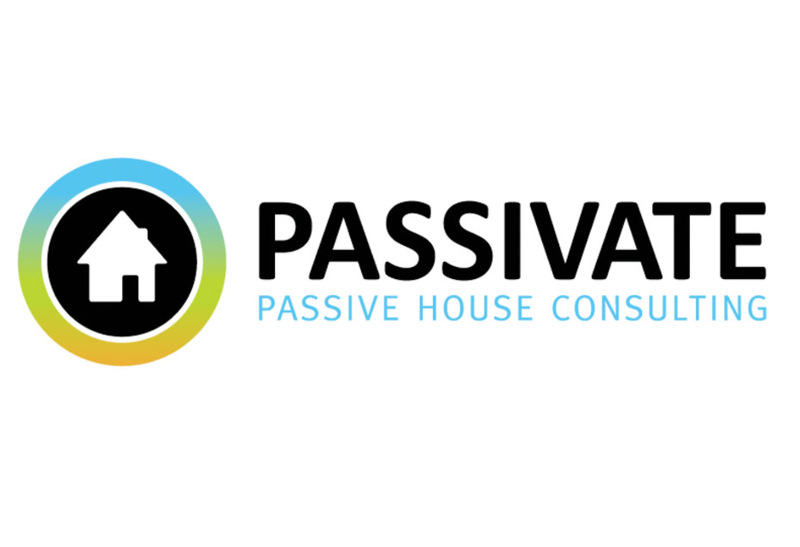 Passive House Institute certified. U-value: 0.87 W/m2K. Glazing: Saint Gobain Climatop Lux glass, triple glazing of 52 mm. Warm edge spacer swisspacer. Ug-value: 0.6 W/m2K, g-value: 62%. Heating system: Air-to-water Nibe F2040 heat pump distributing to underfloor heating system. Hot water: direct electric water heater from PV panels with air-to-water heat pump contribution. Room sealed stove connected to a Schiedel chimney system. Ventilation: Brink Climate Systems BV Renovent Excellent 300 (Plus) heat recovery ventilation system supplying fresh air to all living rooms and extracting from all wet rooms. 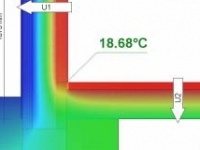 Effective heat recovery efficiency of 84% (passive house certified). Electricity: 24.4 sqm solar PV array. 15 panels installed on the roof with an electricity yield of the inverter of approx. 3678 kWh/a. We have long standing skills in sustainable, low energy, A1 rated, nZEB, modern, passive house, eco friendly dwellings. We take a holistic approach.